The La Grange Area Historical Society is pleased to announce the return of the West End walking tour with John Burns on September 9th and 10th. The tour will focus on La Grange’s west end and will provide tour goers with some surprising tales of the village near Stone Avenue Station. 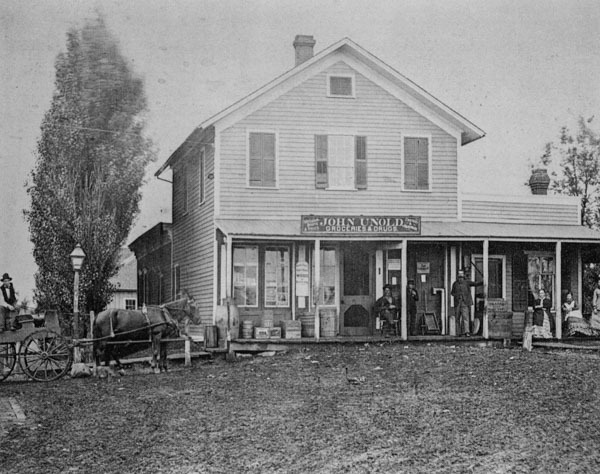 What was the John Unold store? Where were Sunday Picnics held? Where was Lover’s Lane in La Grange? Where was the quarry and tree nursery? Who cased the First National Bank of La Grange for a bank heist? The tour will depart from Stone Avenue Station at 1:30pm on Saturday and Sunday September 9th and 10th. Tickets can be purchased online. New this year, we are offering a tour package that includes a wine tasting at the festival! Visit our event calendar to reserve your place now as these tours are limited to the first 20 participants.